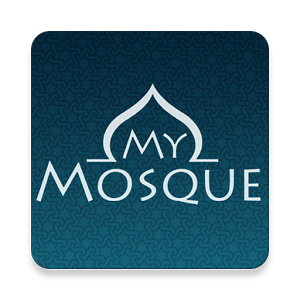 Download our App for Prayer Times, Ask Imam Questions and Instant Notifications from us about the Mosque. Includes most mosques in the UK and is growing all the time. Available for Android and Apple devices. Questions about Islam or our Mosque? 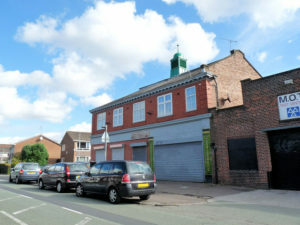 Welcome to the Manchester Islamic and Cultural Centre and Salahadeen Mosque. We are a mosque and cultural centre established in 2011 and based in South Manchester, UK serving the needs of the local community. At our mosque we offer 5 times congregational prayers, Friday and Eid prayers. We have a sisters section for Friday prayers, Eid prayers and the night prayers of Ramadhan. The MICC aims to deliver to the needs of the community through services such as classes, talks and other events. Our Friday sermons (called Khutba in Arabic) are delivered in Kurdish, Arabic and English. The MICC caters for the needs of Muslims and non-Muslims through our programs and events. Everyone is welcome to be a part of our community. Just wanted to give you a final reminder regarding the plight of our brothers and sisters in East Turkestan. At least 1 *Million Uighur Muslims* have been forcibly detained in concentration camps where they are *forced to consume pork and alcohol*, and are indoctrinated to and forced to *abandon Islam*. During Ramadan they are force fed and made to drink so as to *break their fast*. In public life, the *Quran is banned*, *fasting is banned* for public sector workers, the *hijab is banned* in public buildings, Uighur *Muslim women are sterilised* at government health clinics and hospitals, and others are *forced to marry Han Chinese men*. These are just a few of the atrocities that are taking place. Please do make time this *Sunday 7th April at 6.30pm, in Cheetham Hill,* to come and hear about what is happening and importantly what we can do. Skeikh Yasir Qadhi, 4th April 2019 at BMHC. Licensed therapists Najwa Awad, LCSWC and Sarah Sultan, LPC, LMHC, authors of "Trauma: Your Lord Has Not Forsaken You" share practical tips on how Muslims can process and cope with the recent tragedy in Christchurch, New Zealand.